No matter if you are building a micro brushless quad or a 5″ racing monster, there is one motor related term that you should definitely know: Your motors velocity constant Kv measured in rpm/Volt. In order to get the most out of your quad you will select a motor and propeller combination that makes optimal use of the motors speed and torque. It is actually quite easy to measure. The basic idea is to use the motor as a generator by spinning the motor, measure the rpm (externally or electronically), and measure the induced voltage. Then apply some math and there you go. I am going to show you four different ways to measure those values and to derive the Kv rating. 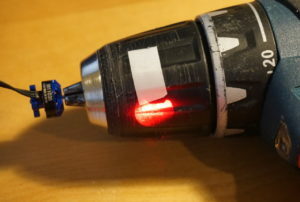 If you have access to an oscilloscope this might be another way to do it. 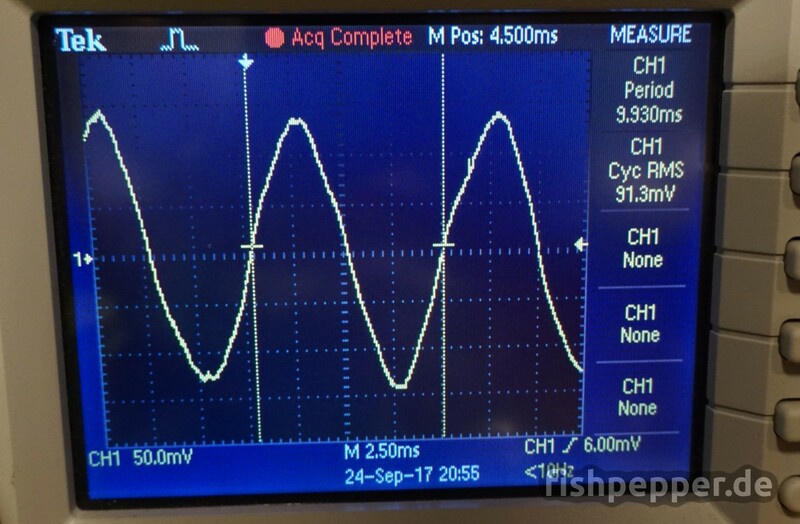 As you are going to measure a very low frequency signal, you might be using one of the cheap diy “oscilloscopes” for this task. Something like a DSO150 or DSO138 will do for this application. Please note that those are not real scopes, they are limited to 200kHz. This is very very very low end… A typical microcontroller setup will have signals in the Mhz range. Usually you want to have at least 200Mhz bandwidth for your scope which is 1000 times more than those scopes offer. So how does the measurement work? 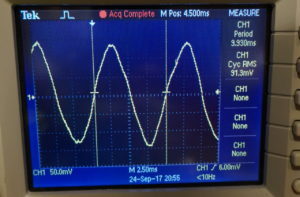 Connect the ground and signal clamp of your scope to a random pair out of the three phases of your motor. Do not connect anything else, especially do not leave an ESC connected. Now take a drill press or an electric screwdriver and attach it to your motor and let it spin at the maximum speed. That’s close to the manufacturer specification. You might be wondering about the factor of 0.95. Well, this fudge factor has been introduced to accommodate for some deviation from the theoretical motor model. It seems like most of the industry is using this factor. This is probably the cheapest way to measure the Kv rating. You will need a multimeter that can measure AC voltage and a cheap RPM meter (e.g. this $7 rpm meter will do just fine). Of course you can also use a brushless motor test stand such as the rcbenchmark 1520 or 1580 series to determine the motor KV. The Canadian post was quite fast, it just delivered one of those fancy toys to me. You can expect a tutorial and some more motor benchmarks soon! 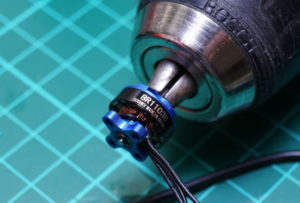 In my case the motor was measured to have a Kv rating of 4536 rpm/V. Quite close to the 4700 rpm/V that I had calculated when I was rewinding it. You are probably asking yourself why you should measure the Kv of a motor? I would argue because you can! 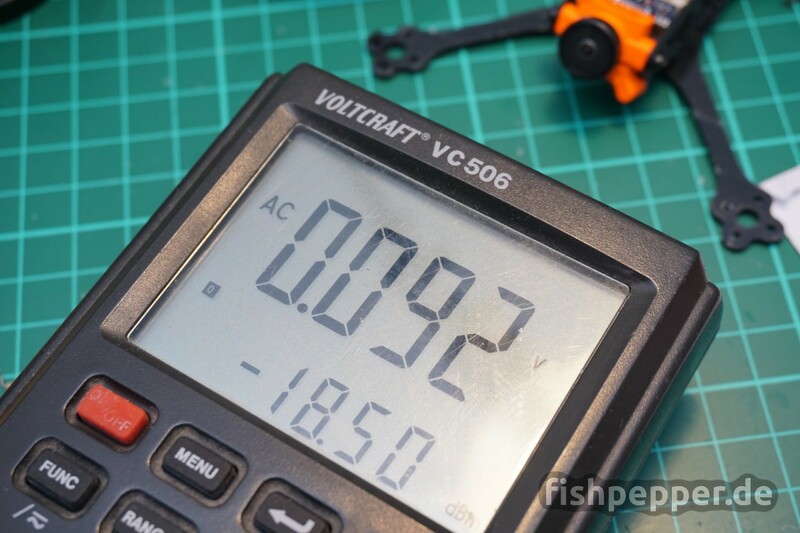 No, seriously you do not have to measure the Kv of the motors you buy. They should all come (roughly) with the Kv rating the seller specifies. 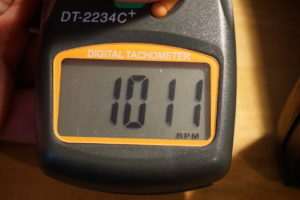 However, if you (re-) wind a brushless motor on your own you might want to verify that you reached the targeted Kv rating.